Save money by renting your website from Enterprising Internet, with all of our monthly rental packages including web hosting and your business email accounts! There is no lump sum to pay out yet you still have all the benefits of a newly built site from Enterprising Internet. Deciding to move your business online can be a daunting process – let us take the hassle out of it for you. We handle everything from purchasing and renewing you domain names and your rented site will be hosted on our servers meaning you can be sure your website will always be safe and available. We offer rental contracts of 12 months and onwards, and there is always the option for you to buy it outright! Your site will have unlimited bandwidth. We see our site rentals as a partnership – so you can still expect the same level of service as any other customer. Our care and support is one of the best in the business and something which we really do pride ourselves on. Enterprising Internet can also set up your Social Media for you, and deal with your Online Marketing and SEO (Search Engine Optimisation). This can all be added to your package for additional fees. 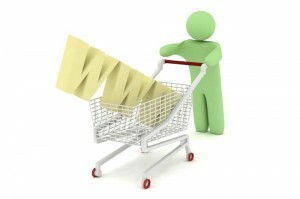 Your business can reap all the benefits of an online presence with a stress free monthly payment! Contact Us today to discuss how Site Rentals could meet your needs.